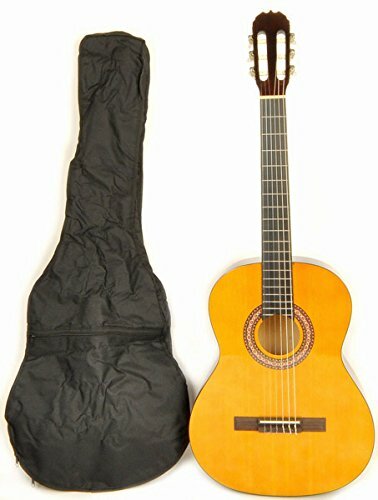 An amazing price on a left handed full size guitar kit! This has everything you need in a starter guitar kit: beautiful Spanish guitar styling (usually only found on guitars double this price! ); nylon strings; special left handed bridge and nut installed; classical style open tuners; natowood fretboard and bridge; elegant basswood back and sides; ornate sound hole binding; and free carry bag included! Overall length: 38". Width of the nut: 2". Scale length: 25".